You don't have the capacity to manually follow-up with past customers on a day-to-day basis requesting reviews. We can automate it. Generating positive reviews and feedback for your business serves so many purposes. It drives new customers to your business, helps you improve your business based on customer feedback, and helps your website search engine ranking. However, 90% of businesses have under 5 reviews on popular review platforms such as Google & Facebook? Why? A lack of time and automated processes. 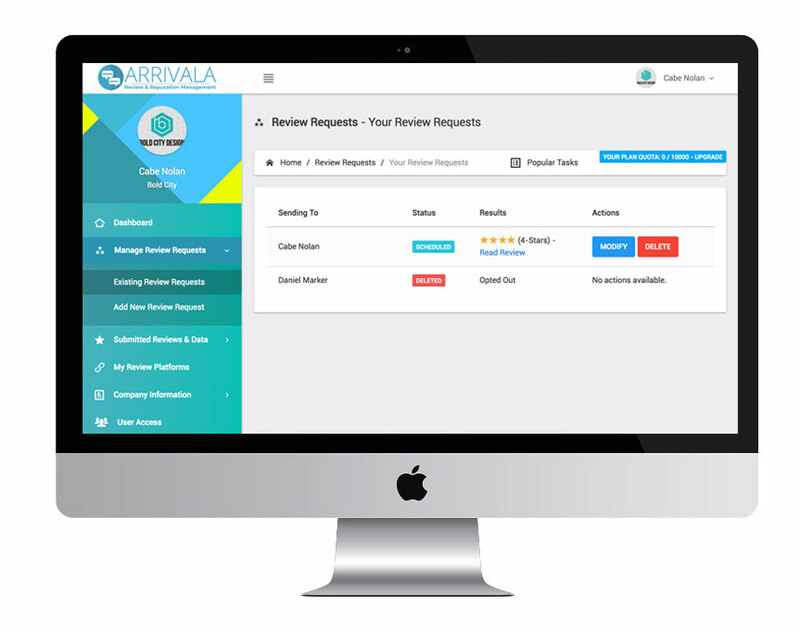 Arrivala makes it easy to automate the collection of reviews from your past customers. Our platform also makes it easier for the customer to quickly write reviews directly from their mobile device or computer. Collecting reviews no longer needs to be a burden, Arrivala can help! Simply add your customer's name and email address or cell phone number to your Arrivala dashboard. Set their delivery schedule (if desired) and schedule the review request! Arrivala handles everything else. 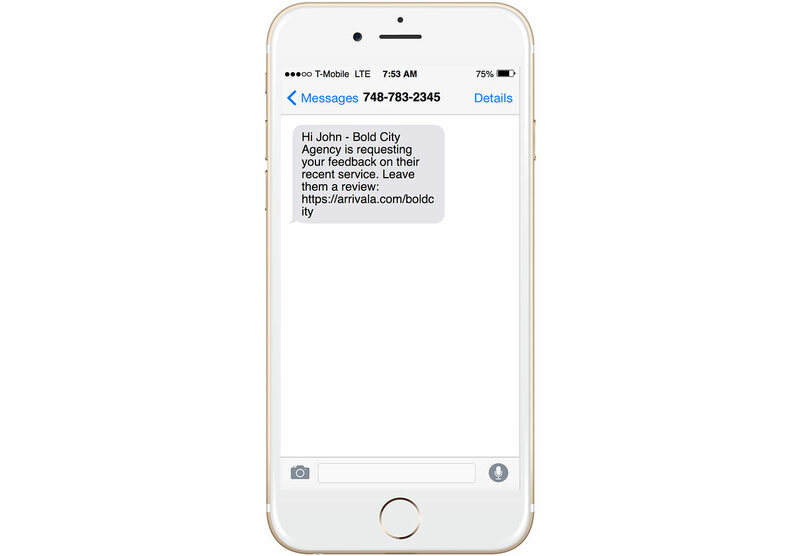 The Arrivala system automatically sends follow-up requests based on your defined scheduled if we have not heard back from your client or customer. Every customer you have is an opportunity to strengthen your review profile online. We do our best to ensure the customer doesn't slip away! We're fully compatible with businesses that have multiple locations and/or sales agents. Pay one low monthly price and have your Arrivala account shared with everyone. Each location or sales agent has the ability to define their own set of business profiles. You can create additional logins and restrict the ability to send review requests for each location or sales agent to specific login(s). It's always important to measure performance. 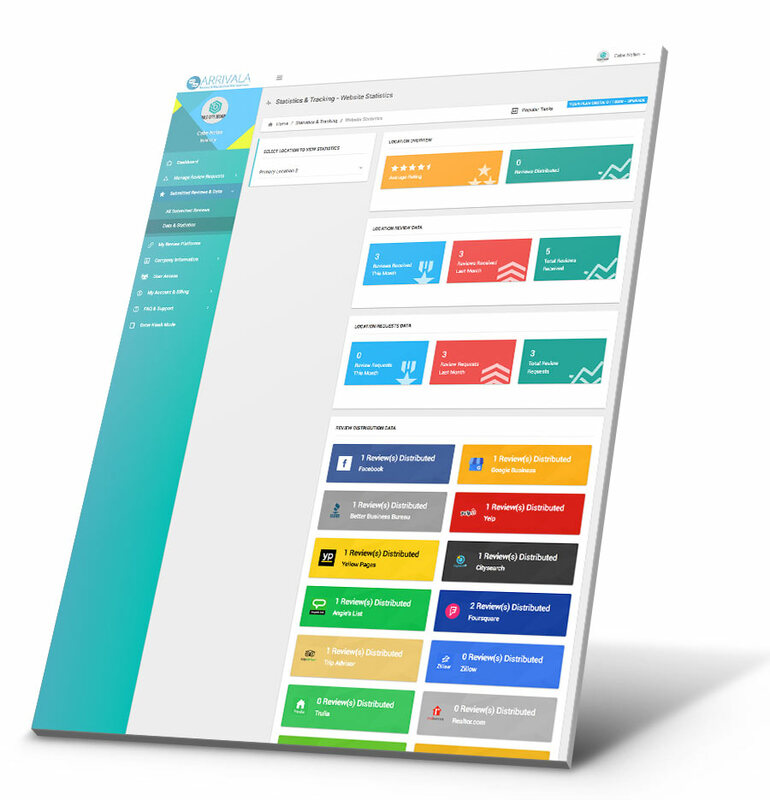 Arrivala comes with a full suite of built-in tracking & statistics to show you how many reviews you're collecting. Get insights into what days of the week people are most likely to review you on. Determine what review platforms people are most likely to use and much more.